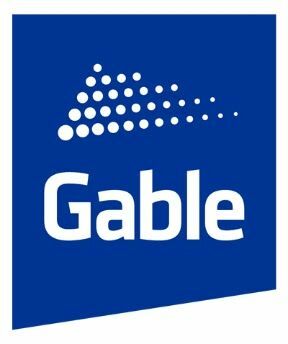 Gable has named Michael Shulman as Senior Vice President. With 25 years of experience in the entertainment, gaming, and retail and hospitality spaces, Michael brings to Gable a passion for creating design solutions that achieve client objectives. Prior to joining Gable, Michael was a member of the executive leadership team at Illuminating Concepts, a full-service lighting and multi-media design firm. Over the course of Michael’s career, he has had the opportunity to consult with many notable international brands in the entertainment, gaming, retail and hospitality spaces. His career includes collaboration with high-profile projects for clients such as MGM Resorts International, Caesar’s Entertainment, Seminole Gaming, Pinnacle Gaming, GGP, Stations Casinos, British Airways, Simon Properties, Macerich, Wembley Arena, MTV, Saturday Night Live, NBC, Viacom, Heron International, Brooklyn Bowl, Dubai Properties, L&L Holdings, Universal, Disney, and various Broadway productions. Prior to joining Gable, Shulman was a member of the executive leadership team for Illuminating Concepts, a full-service lighting and multi-media design firm that specializes in the creation of memorable environments worldwide. He brings to Gable a passion for creating cutting-edge design solutions that achieve client objectives, with invaluable experience cultivating a company that implements award-winning, profitable and sustainable projects that enhance the human connection. A seasoned veteran within the entertainment, gaming, retail, and hospitality markets, Shulman has proven competencies in design, construction, process and operating principles, economic and project management, strategic planning and knowledge of media technology. He also brings to Gable passion for strategic thinking and problem solving to create cutting-edge design solutions for each client’s objective. As a frequent speaker and industry leader, Shulman participates in trade organization conferences annually including ICSC, CenterBuild, ULI, G2E, NIGA and others. He has also lived abroad, working in varied cultural environments including Asia and Europe.